Opaque and devoid of color. 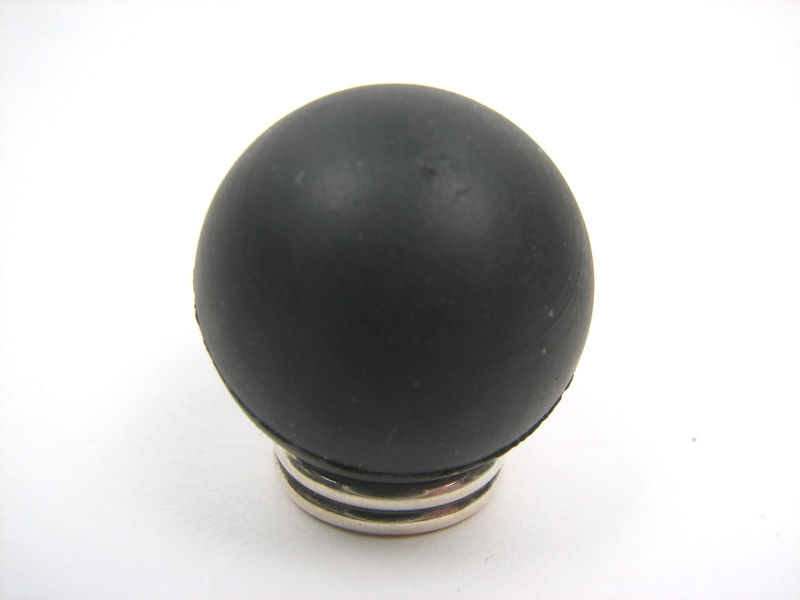 Uniformly pigmented in black. Shiny or matte finish. 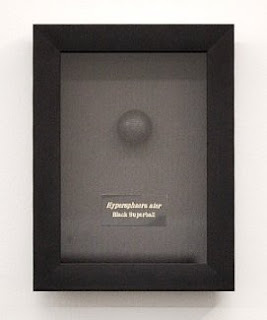 A specimen box showcasing an example of a Black Superball.